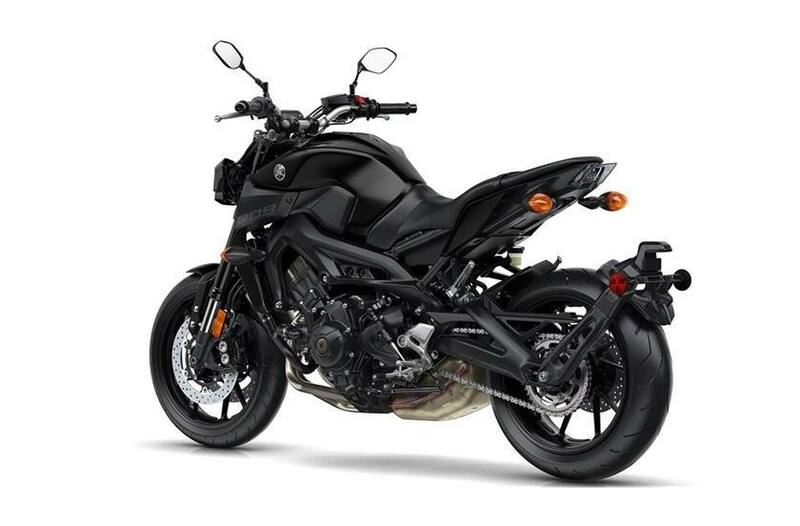 The Class-Defining Naked Sportbike: Packing aggressive style and impressive performance, Yamaha's original Hypernaked blew open the sportbike segment. 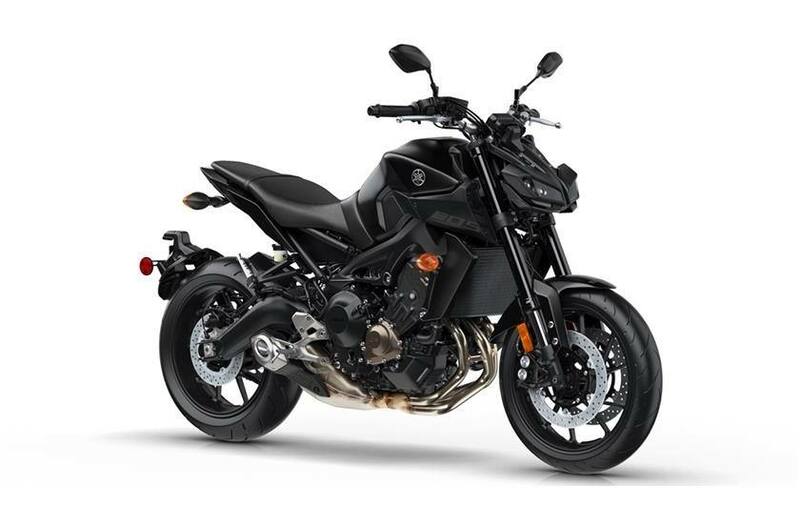 Now wearing the MT-09 badge and more refined than ever, it features a potent inline-triple motor, adjustable traction control, a fully-adjustable fork, ABS, and an aggressive look unlike anything else on the road. Powerful Inline-Triple: The MT-09's 847cc CP3® engine combines advanced electronic systems—including YCC-T®, Yamaha D-Mode and multi-mode traction control—with a crossplane concept crankshaft to deliver an exciting, torquey and quick-revving engine character built around rider-centric control. Crossplane Concept CP3 Design: The MT-09's “Crossplane Crankshaft Concept" engine provides linear torque development in response to the rider's throttle input, for responsive engine thrust with a strong feeling of power in the low- to mid-rpm range. To boost refinement and provide a smoother ride, the CP3 engine uses a compact counterbalancer to cancel out vibration. Unique Staggered Intake Funnels: To develop the MT-09's broad torque curve and create its unique intake sound, the three intake funnels have been designed with uneven lengths. This staggered design gives the CP3 engine an excellent spread of torque across the entire rev range. 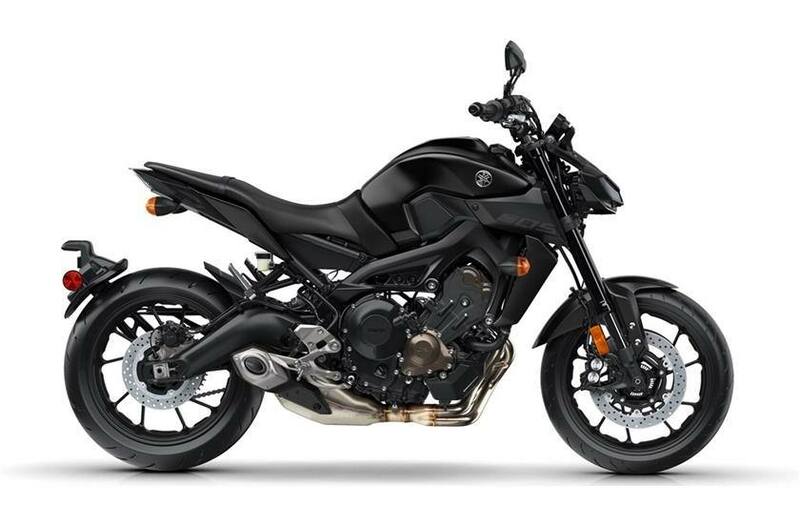 Assist and Slipper Clutch: Yamaha's assist and slipper clutch gives the rider smoother, more confident downshifts when entering corners aggressively, as well as a lighter pull effort at the lever in day-to-day riding, all while easily handling the torque of the MT-09's high-output motor. Compact 6-Speed Transmission: The MT-09's gearing takes full advantage of the low-to-midrange torque of the CP3 engine, while being designed to be very compact: the crankshaft, input and output shafts are “stacked" in a triangular layout to centralize mass and keep the engine shorter front-to-back, which allows optimized engine placement in the frame for outstanding handling. Lightweight Wheels: Lightweight 10-spoke aluminum wheels are used, fitted with a 120/70ZR17 front tire and 180/55ZR17 rear tire. 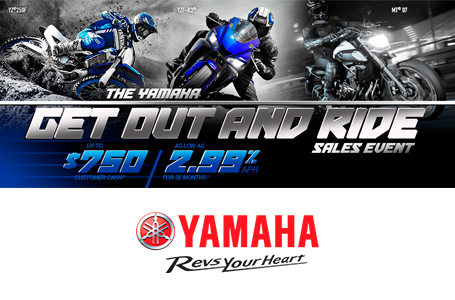 The tires are built to Yamaha's specification that provide excellent all-around handling and grip. Powerful Brakes with ABS: The MT-09's front brakes consist of paired floating 298mm discs with radial-mount, 4-piston calipers, backed up by a 245mm rear rotor, creating an ideal combination of power and feel. An Anti-lock Braking System (ABS) comes standard, for additional confidence when slowing in less than ideal conditions. Adjustable Traction Control System: A Traction Control System (TCS) assists the rider in managing traction on various road conditions by quickly modulating throttle opening, ignition timing and fuel volume. The MT-09's TCS includes two modes to suit various road conditions, and can also be disabled by the rider if they so choose. Advanced Yamaha Chip Controlled Throttle: The ride-by-wire Yamaha Chip Controlled Throttle (YCC-T®) system senses the slightest throttle input by the rider and instantaneously calculates the ideal throttle valve opening, and then actuates the throttle valves to actively control intake volume. This technology contributes to the rider's feeling of torque and controllability from the 3-cylinder engine. Selectable D-Mode Throttle Mapping: The MT-09 features Yamaha's D-Mode system to allow the rider to choose the optimum engine character for their riding situation and preferences. The rider can choose from three throttle valve control maps (Standard Mode, “A" Mode, and “B" Mode) for different throttle response characteristics at the push of a button.